The INW - Yes, We Cheesecake is the best cheesecake flavor available and creates the base for the cheesecake trinity. Capella - New York Cheesecake is the first support flavor, bringing an additional note of caramelized sugar for the crust, adding some serious creaminess, and opening the bridge to vanilla flavors a bit more. Lastly, the TFA - Cheesecake (Graham Crust) completes the crusty undertone portion of the trinity and adds another hint of dairy. This trio can be used in any capacity to add an authentic and delicious cheesecake profile to a recipe. It's okay in a SNV, but I really suggest waiting about a week for it to come together. I used FE Lemon because I've tried various combinations of other lemon top notes that just do not work as well. This lemon flavor is a very sweet and non-invasive one that works in dessert applications magically. I originally purchased it to mix dazcole's lemon tart recipe, and after single flavor testing it I can absolutely see why it was picked. A lemon curd would not be complete without eggs and butter, so I decided to use LB Vanilla Ice Cream for this. 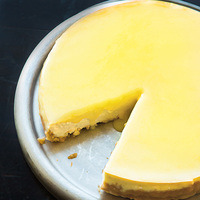 Not only does it bring the egg and butter required for the lemon curd, but it helps to connect the lemon curd to the cheesecake with vanilla notes and creamy texture. Lastly, INW Shisha Vanilla was added to bring a more distinct vanilla note to the cheesecake trinity. Sweetener is always optional. Very nice cheesecake base. Maybe it’s just me, but I absolutely cannot stand FE Lemon in bakeries. It just throws everything off to me. I especially don’t think it belongs in a cheesecake recipe. That being said, I can sub the lemon for something else and this is fantastic.